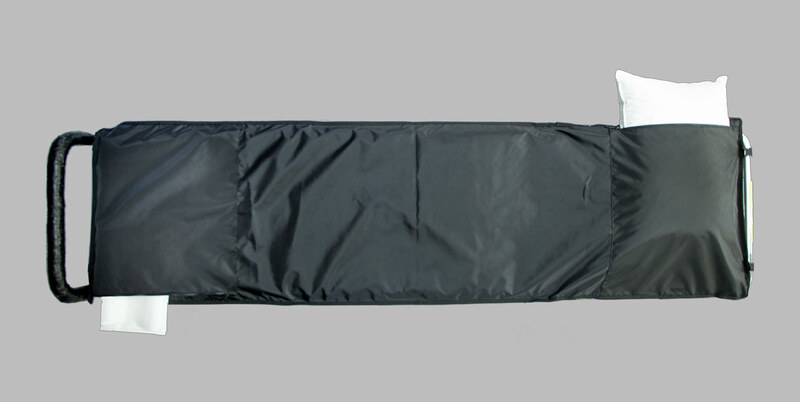 Two fluid resistant pillow sleeves that also provide storage for sheets, gloves and other first call supplies. Eight points of contact to securely fasten to cot. Fits standard size cot. “No right way. No wrong way.” Our mattress sleeves are designed to be placed on the cot in either direction. Pillow fits perfectly in our first call pouches and also our mattress sleeve. $8 shipping within the United States. $5 shipping within the United States.